We ran this poll a little over two years ago, but I figured it was time for a refresh. Wireless charging seemed to have a lot of momentum in the smartphone world for a little while there, but there's no denying the enthusiasm from manufacturers toward it has cooled recently. The new Nexus phones don't charge wirelessly, nor do most of Motorola's new devices, LG's need a special case, and HTC has never been hip on it. The only major OEM pushing it is Samsung, with the Note 5 and S6 edge+ being the first phones ever to support faster Qi charging. Granted, that quicker charge spec apparently necessitated integrating a cooling fan. The only time in recent memory I've used wireless charging - aside from testing the above Samsung unit - was at an airport. I was carrying the Galaxy S6 edge+ at the time, and LAX has a few Verizon Qi wireless charging kiosks scattered about. Given that I was on a day trip and had completely forgotten to bring my own charger, it was a lifesaver, even if I had to stand next to it the whole time. But a publicly-accessible USB cable would have worked just as well (and faster), though I can understand the appeal of wireless charging in these situations (nothing to steal / break). So, do you have a wireless charger? Do you use it? Do you like it? Dislike it? Let's vote and discuss it in the comments below. 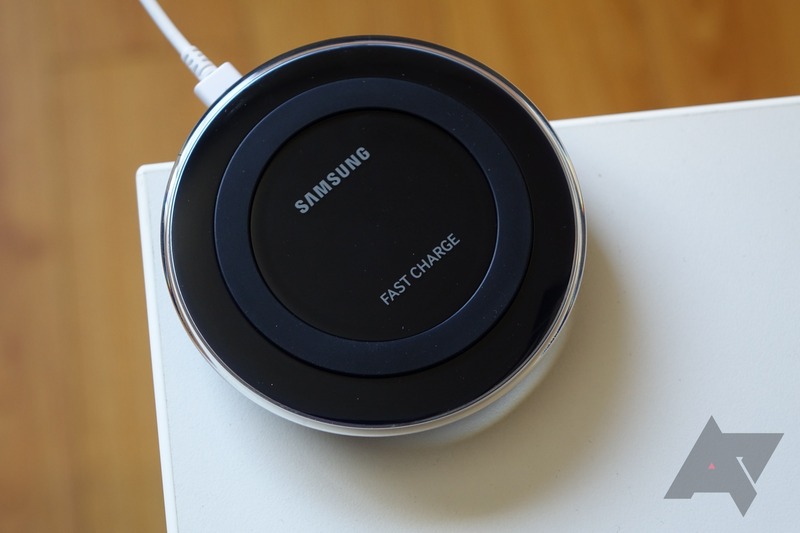 Do you own a wireless charger for your smartphone? Yes, and wireless is the primary way I charge my phone. Yes, and I use it sometimes, but not as often as a wired charger. I own one, but I rarely / don't use it, even though my phone supports it. I own one, but my current phone doesn't support wireless charging, so I don't use it anymore. I don't own a wireless charger, even though my phone can charge wirelessly. I don't own a wireless charger and my phone doesn't support wireless charging.